Samsung just unveiled the new Galaxy S9 and S9+ and boy does it cost a pretty penny. 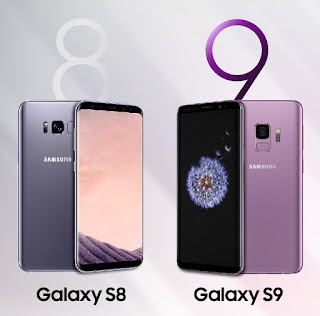 With latest devices, Samsung is taking a page out of Apple's playbook and is pricing the Galaxy S9 and S9+ a bit higher than the Galaxy S8 or S8+ was at launch. If you already own a Galaxy S8 and was wondering how much better the Galaxy S9 is, we've got your back. We've compiled a table which highlights the areas where the Galaxy S9 and S9+ is better than the Galaxy S8 and S8+. While the Galaxy S9 trumps the Galaxy S8 with the variable aperture (and the dual cameras in the Galaxy S9+), location of the fingerprint scanner, stereo speakers, and newer processor as it should. The Galaxy S8 is still a very capable device even after a year and with the price expected to drop even further to midrange territory making it great value for money.